We couldn’t have herbalism without each other. Through relationship, we learn the art of herbalism—humans sharing with one another, plants teaching us directly, and even animals showing us the way as we observe and learn. This tradition has likely nourished and supported us for as long as humans and plants have coexisted. 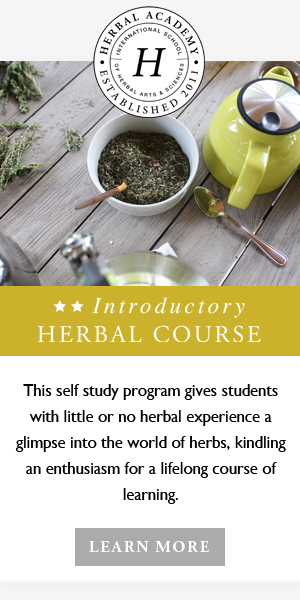 No matter where you are on your herbal path, you have likely shared in the energy of herbal community, tapping into the collective knowledge about our beloved plants and creating your own powerful herbal story. As we walk along those well-trodden paths of herbalism seeking our own unique way and exploring to learn more, we journey side-by-side helping one another along. For many of us, there is a particular beloved teacher (or two or three or more!) that was essential in nurturing our flame of passion and providing us with guidance and wisdom. Each year, Herbalist Day is April 17. This day is a special time to reach out to honor herbal teachers and the wise ones who came before us and express gratitude for the gifts they have shared. We invite you to join us in appreciating all of our wonderful mentors this year on Herbalist Day! To make it simple to share the love, we are delighted to offer a FREE Herbalist Day thank you card download for you to use to honor herbal teachers! Send it off in an email or print and give it directly to your wise teacher. One way you can honor herbal teachers that showed you the way on Herbalist Day is by sharing a memory with that person who particularly touched and inspired you. We all have a story or two to share! Sharing these special memories in an effort to honor herbal teachers who shined the light is a very touching way to say thank you. It really means a lot to these precious teachers, and Herbalist Day is the perfect opportunity to do so! Here are some Herbalist Day stories of inspiration from our own Herbal Academy team! So what about you? What is your story? If you have one, or several, pass it along! It will touch the heart of your teacher and make their day! Happy Herbalist Day from the Herbal Academy team!